As a market leader in a country an organization with the endeavors of touching newer horizons tend to grow overseas in newer developing markets. They need partners who fulfill their software requirements in these new horizons. Offshoring software requires unique human-resources who have the niche to implement these requirements anywhere around the world. Hex Technologies comprises of those members who can implement the system model by building those software needs as per the requirement of the market. We have the expertise of understanding the markets and matching it with the business models and even offer consulting of do’s and don’ts. Hex technologies also study the cyber laws related to the software of the target market to offer a law abiding solution to your requirement. 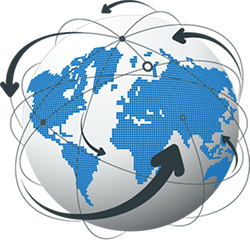 We collaborate with your business to any country to offer you the software solution so that you can concentrate on the main business and be carefree related to your software requirement anyplace, anywhere.